So we made a post listing 10 things players hate in Star Wars Battlefront 2. We thought we’d now flip it around, and talk about everything players love about the game. 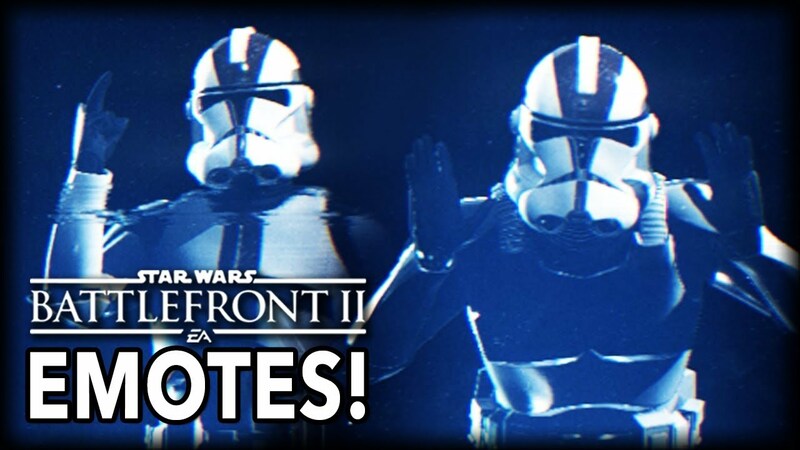 So here are 10 things players love about Star Wars Battlefront 2! Battlefront 2’s space combat was completely reworked after the first game, and introduced much more depth and immersion than it’s predecessor. 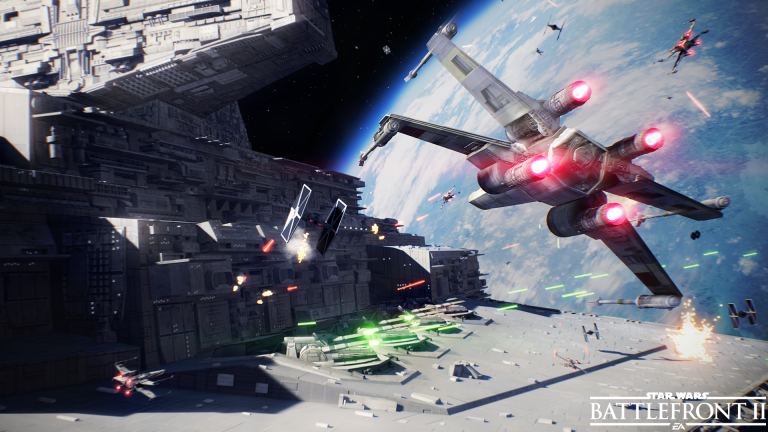 Gameplay is much more objective based, and works in stages, much more thought out than 2015 Battlefront’s ‘fighter squadron.’ Even though we still have no space to ground combat, and players can’t get out of their starfighters and roam the enemy hangar like in the initial Battlefront 2, the new game delivers Star Wars moments dreamed about as a child, especially with the inclusion of all 3 eras. What I think’s great about it, is that each map feels different. Finally I can become one with my inner vulture droid and soar the skies with my fellow clankers! For so long, I have wanted to communicate with my fellow droids through the universal roger roger language. Great job to the developers for including this line in the game. When I heard this line was going to actually be included in the new game, I have to admit, I got a little excited. There’s such a sense of camaraderie between the clones that if this line wasn’t in the game, and I saw a Super, I wouldn’t know what to say! When you see this little green blur running and jumping towards you, you can know that you’re about to be killed by the wisest person or thing or what species is Yoda again? that ever lived. Yoda is easily the most powerful Jedi out there, and what’s great about him being in the game, is that he feels like Yoda. 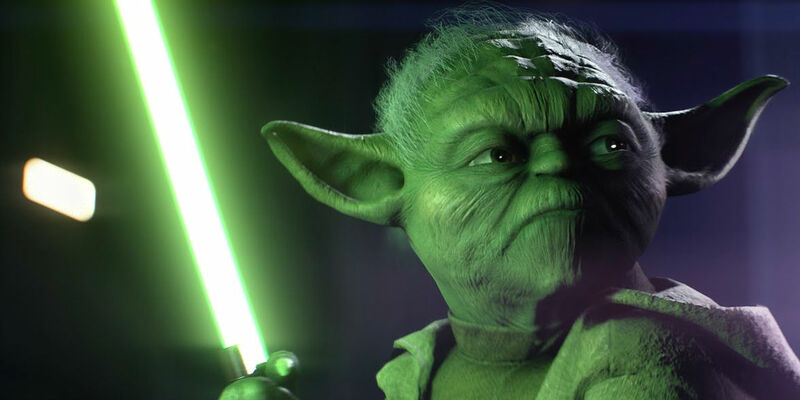 The movement, abilities, force push, and just presence of Yoda in Battlefront 2 I think are really spot on to the character, well, the prequel Yoda anyway. I mean I guess it would be cool to play as that cheeky mischievous strange alien who’s a little too aggressive with his walking stick. I’m going to be honest here. I was so surprised when they announced this game was going to feature content from the prequels. I honestly thought EA were going to do the classic EA thing, and only have pre existing content from the last game, and maybe just add in some stuff from the sequel movies, to tie in with the Last Jedi release to sell an extra few copies. But I was wrong. (play Ben Kenobi clip). Clone Wars! Kamino, Naboo, Kashyyyk. Clone troopers, battle droids, super battle droids, roger roger! And don’t forget. An abundance of opportunity for prequel memes. Again! Everyone’s favourite furry snow creatures. Unless you like Wampas. I mean, I guess some people like Wampas. Anyway, they’re back! And they’re just as much fun as they always were. I always thought riding Tauntauns in the old Battlefront 2 was a bit clunky, hard to control, almost like the Tauntaun was kind of still half in control. I’m really glad they feel the same in the new game. Unless I always just sucked, which is probably more likely. But hey! I like to tell myself differently. Anyway! Tauntauns! Enough said. Something I think a lot of us thought the first game was really missing, was some weapon customisation and attachments. Even though it’s still a bit limited and nothing close to your Battlefield’s or Call of Duty’s weapon customisation, I think we all definitely like having more options to play the way we want, and customise our gear. Maybe just don’t tell Captain Phasma about your mods, you know? She tends to get a bit funny about these types of things. And what’s she a Captain of anyway? Just the fact that emotes are back, makes me happy. I’ve always been a fan of emotes, and would love to see even some more added to this game, maybe a few dancing ones so I can be jamming while I’m battlefronting. Also, since the first game, I’ve wanted to be able to do the robot as a droid, so hopefully one day. And don’t forget, just like in 2015’s Battlefront, you can emote just as the round is starting. Bam! There’s 10 things! Thanks for reading!